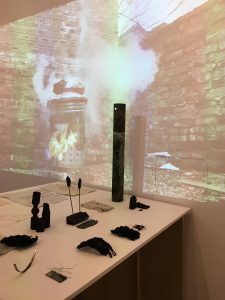 Sharon Blakey, Senior Lecturer, BA (Hons) Three Dimensional Design, Manchester School of Art, reports on Endangered Crafts, the collaborative project between the HCA and Manchester School of Art. 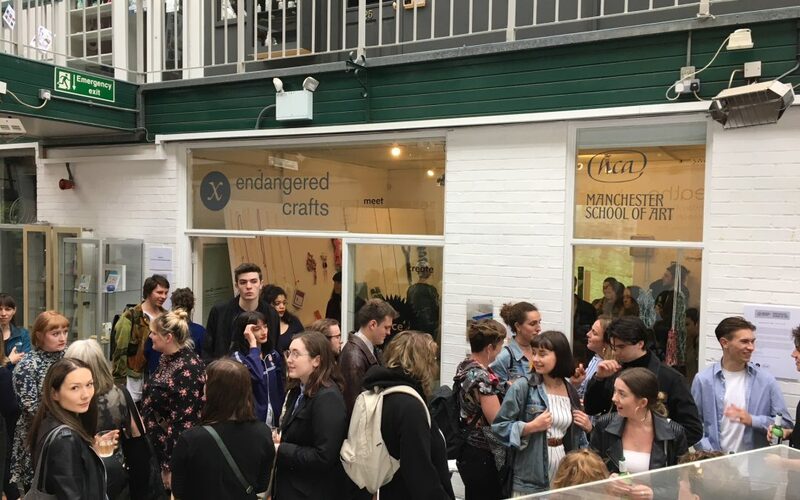 Endangered Crafts, which was based on the HCA’s Red List, culminated in a fabulous exhibition of works at Manchester Craft and Design Centre in May. 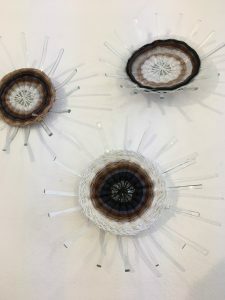 Over 150 students from across the School participated in the project, with selected works exhibited as part of the School of Art’s Unit X Festival. As expected the range of responses to the theme of ‘endangered crafts’ was wide ranging and design teams responded to the brief in original and unexpected ways. The Tradition Meets Technology team juxtaposed the handcraft skills of knitting, crochet and embroidery with a range of production technologies. Jaimie-Lee Wainman’s ceramic and 3D printed stacking bowls enable the user to hand embroider the outer skin of each vessel, developing knowledge of basic stitch methods whilst facilitating a contemplative act of making. Emma Bradburn wove together delicate strands of glass which were then slumped in the kiln and embellished post firing with hand threaded silk yarn, and the tasselled sculptural wall pieces by Textiles in Practice student Remy Storey were an interpretation of the detail, colour, scale and composition found in traditional passementerie. A number of teams relished the opportunity to learn new skills and processes. Neptunian, for example, were motivated by research into ancient coracle making, developing a flat-pack, self-assembly version for use during family holidays and outings. Sasuke embraced the art of blade making, learning how to forge steel to make a Japanese inspired kitchen knife using locally sourced oak and Damascus steel. Charcoal burning was the inspiration for a second year team who designed and built their own charcoal burner and produced a film to document the process. 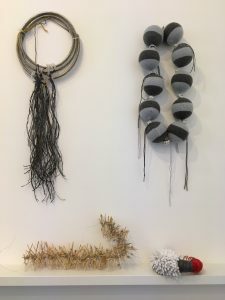 Influenced by charcoal’s properties of neutralising and purifying the air, Interactive Arts student Jourdana Duoba, combined ground charcoal with recycled paper to produce artefacts intended to reduce domestic odours when placed in interior spaces. Students commented positively upon the value of the experience, with one student noting, “Unit X has helped personal discovery about my professional practice. Having the chance to hone skills and learn new ones made this project the highlight of my first year”.